The material from Mont Lubéron is not homogeneous. It is also often broken and distorted. 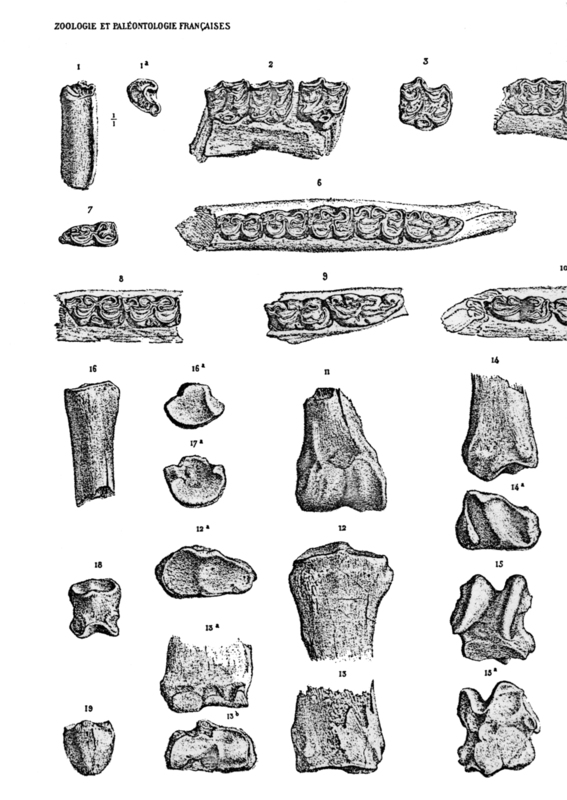 Together with the predominant Hipparion prostylum (Gervais, 1849, 1859) there are fossils of smaller and larger hiparions (Zouhri & Bensalmia 2005). The data given here correspond only to the part of the material I have studied. en Equidae tridactyles (Hipparions sensu lato) Hipparions from France Hipparions from Mont Lubéron ?